At a time in our political and social history when partisan division seems to be the norm, Severn Upper School students are stepping up, joining in and working together to unify the Upper School. At the end of the summer, over 80 sophomores, juniors and seniors gathered on Teel Campus for a three-day Leadership Lab. The goal of the three days? To choose an adaptive challenge for the entire Upper School to address this year. This year the theme is "Unity," a challenge to promote inclusion and a sense of belonging at Severn. What is the Leadership Lab? 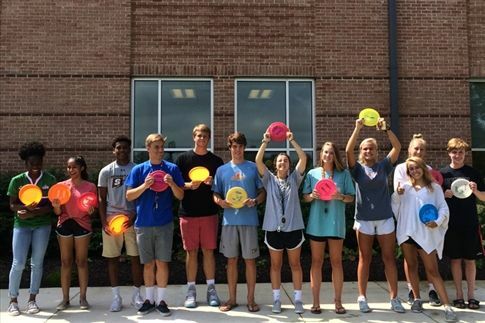 Just before the school year begins each summer, Upper School students gather for three days of discussions and workshops on effective leadership at Severn. Although students in elected and club leadership positions are expected to attend, the lab is open to all students. It’s a voluntary forum where any interested student can participate. The event begins with dinner on Thursday evening where students and teachers reconnect after months away from school over the summer. After remarks from Head of School Mr. Doug Lagarde and Upper School Dean of Students Mr. Marc Buckley, the students separate into groups to begin the in-depth process of choosing their adaptive challenge. Over the next two days they will learn practical leadership skills and work together to create a plan for the school year to come. Having a blast during the the Leadership Lab workshops! What is the adaptive challenge? Although they choose a new challenge every year, each theme is an extension of the one before with "building community" as a common thread. That’s what’s important to our kids, creating the best experience they can for everyone in the Upper School. This year they want to focus on promoting unity — to draw everyone together and honor every voice. As students work through these practical workshops, with their brainstorming sessions fresh on their minds, they begin to develop the theme for the adaptive challenge. Watch a Leadership Lab workshop in action — learning to effectively communicate. This three-day leadership lab is one step of many toward addressing this year’s adaptive challenge. Our student leaders will share what they’ve learned with their peers and use the experience to shape activities throughout the year. They will meet again in September, including the newly elected 9th-grade student council members, to create strategies for implementing unity throughout the school. And they will gather again in January to check-in, talk about what’s worked, what hasn’t, and develop a game plan for the spring semester. 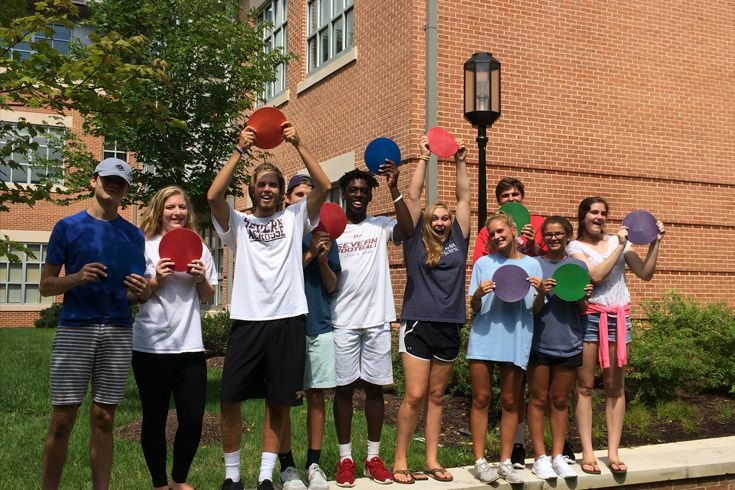 The leadership lab gives our Upper School students the opportunity to take ownership over their experience at Severn. They learn how to work together toward a common goal and the experience makes a big impression on them. It’s something they can do year after year and reflect on their growth as individuals and as a group.